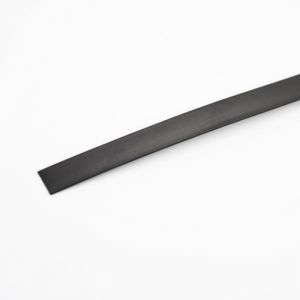 Select Diameter 1/16" 3/32" 1/8" 3/16" 1/4" 3/8" 1/2" 3/4" 1" 1-1/2" 2-1/4" 3"
Heat Shrink Wire Markers are Compatible with Wintotal® Software and TYCO Printing Machines. Acts as a permanent Identification Sleeve, replacing labels and tape. 3/32" 2" 2" 0.0314" 1/8" 0.032-0.075"
1/8" 2" 2" 0.039 3/16" 0.044-0.105"
3/16" 2" 2" 0.062 5/16" 0.069-0.105"
1/4" 2" 2" 0.083 3/8" 0.091-0.215"
3/8" 2" 2" 0.125 9/16" 0.137-0.32"
1/2" 2" 2" 0.167 13/16" 0.183-0.425"
3/4" 2" 2" 0.25 1-3/16" 0.275-0.425"
1-1/2" 2" 2" 0.5 2-3/8" 0.725-1.3"
2-1/4" 2" 2" 0.665" 3.55" 0.85-1.8"
3" 2" 2" 1.00" 4.71"
3/32" 2" 0.0314" 1/8" 0.032-0.075"
1/8" 2" 0.039 3/16" 0.044-0.105"
3/16" 2" 0.062 5/16" 0.069-0.105"
1/4" 2" 0.083 3/8" 0.091-0.215"
3/8" 2" 0.125 9/16" 0.137-0.32"
1/2" 2" 0.167 13/16" 0.183-0.425"
3/4" 2" 0.25 1-3/16" 0.275-0.425"
1-1/2" 2" 0.5 2-3/8" 0.725-1.3"
2.25" 2" 0.665" 3.55" 0.85-1.8"